These days, kids are on video games all the time. They never take a break from it. They play it night and day. Call me old-fashioned, but I feel parents should take away video games from their kids. Kids need to play outside with their friends. I think that kids gain nothing from playing video games. 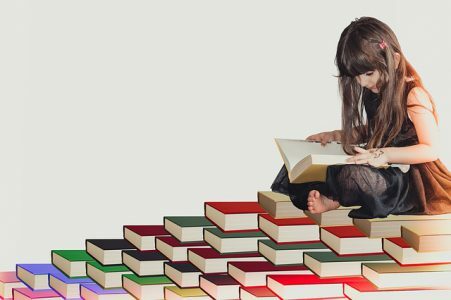 I think there are only 3 things that are important for kids to do in their childhood; play outside with their friends, read tons of books, and sleep. By watching kids nowadays, it makes me worried about their future. The reason I thought about this is that I saw an essay that my student’s granddaughter wrote. She’s only in elementary school, but It was written so well it blew me away. I asked my student if her granddaughter plays video games and she said no. Her granddaughter only reads books whenever she has time. What a difference between kids that read and kids that play video games all day. The difference will be even a lot bigger in the kid’s future. The flu is spreading like crazy. I hear many stories from students that their spouses, children, and grandchildren got the flu. Fortunately, I have never had the flu in my life. The funny thing is I’ve never even had a flu shot. I’m extremely skeptical of the effects of flu shots. 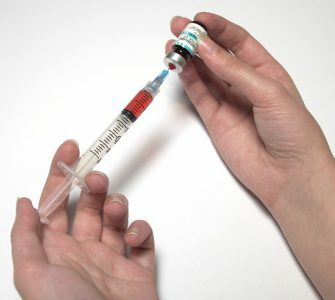 The reason is, every time I meet a person who has never had the flu, I find out that they’ve never had the flu shot either. Is this just a coincidence? You can say my body’s immune system was able to beat the flu 17 times since I’ve experienced 17 flu seasons in Japan. In other words, my immunity is doing a super job. I’ll keep trusting my immune system to work for me in the future. My point is, I think it’s important to let your body do its job of keeping you healthy. When I was in my 30’s, I never cared about the condition of my skin. In my 40’s I started to notice that my skin was not as young as it used to be. I felt the need to take care of it. I began to do some research on skin care. Basically, what I found out was that expensive skin care products and cheap products don’t make a difference. For men, it’s just enough to keep your skin moist. I found two products that are effective for this. 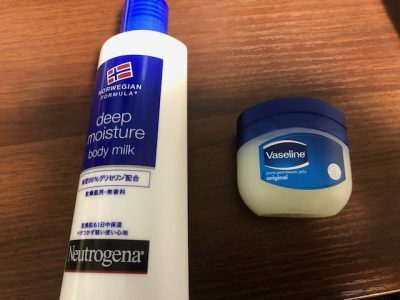 One is Vaseline (ワセリン). The other is glycerine (グリセリン).